Mag. art. Susanne Frantal is an austrian artist who works in the field of textile media at the intercept of art, design and science. Her work is influenced by the knowledge she gained as a textile conservator and textile chemist that allows her to explore possibilities of using new and historic textile materials and techniques in order to transform them into new forms of art. 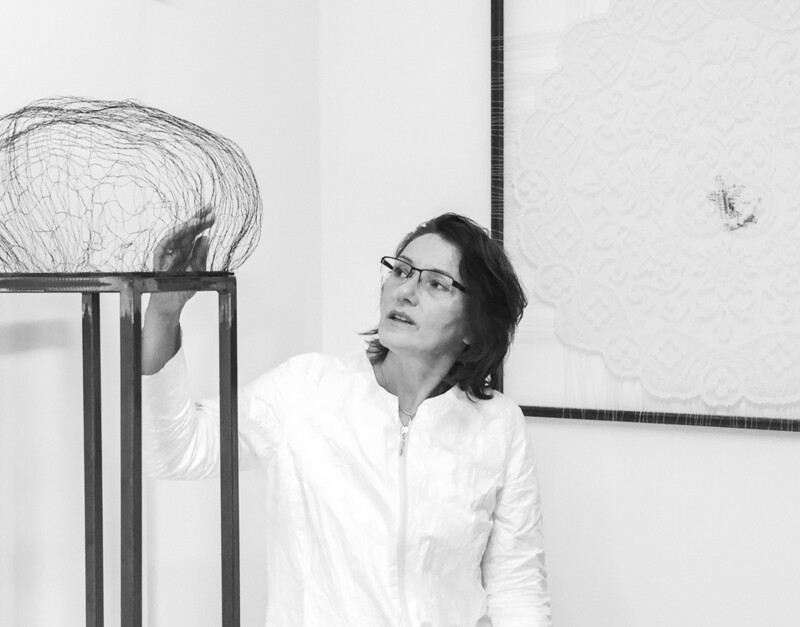 She currently also gives lectures on hand embroidery at the Department of Art Sciences and Art Education at the University of Applied Arts Vienna, where she formerly studied. Neulandschule – secondary school: temporary teacher for textile handicraft, Vienna. VENUS was her name: project mit Kate Just, participation, Exhibitionhall of Krems/ Austria. AKTIONSAKADEMIE: Workshop co-leader in Eggenburg, Austria.